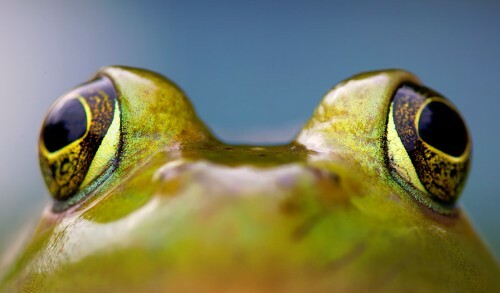 It would be difficult for anything to escape the view of this frog’s eyes. Credit: Special thanks to Nick Harris for making the photograph used for this jigsaw puzzle available through the Creative Commons Attribution NoDerivs license. Visit Nick Harris's Flickr photostream. See all jigsaw puzzles based on Nick Harris's photographs.